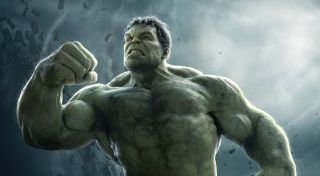 Thor: Ragnarok's Mark Ruffalo promises "a lot more Hulk"
After being left out of Captain America: Civil War - much to a certain actor's chagrin - Thor: Ragnarok will see Chris Hemsworth's hammer-wielding Asgardian and Mark Ruffalo's Hulk return to cinema screens. Although Thor is the hero in the title, according to Ruffalo the green goliath will definitely get a satisfying amount of screen time. "It's an intergalactic buddy road movie with Banner and Thor", Ruffalo told Entertainment Tonight. "I think it will be smashing. You'll see a lot more Hulk. The Hulk gets Hulk-ier. The Hulk Hulks out. Hulk-ier and bigger". Ruffalo also had a few things to say about Cate Blanchett's recently confirmed villain Hela; "She plays the worst of the worst. So evil. She is going to kill us. It's such a great part she gets to play". Although I've enjoyed both solo Thor movies to date, they're nowhere near the top of my MCU rankings. The recent additions to the cast have me excited to see what they have in store for the God of Thunder next year though, and I'm especially intrigued to see how Hulk (and his alter-ego) fares in Asgard.